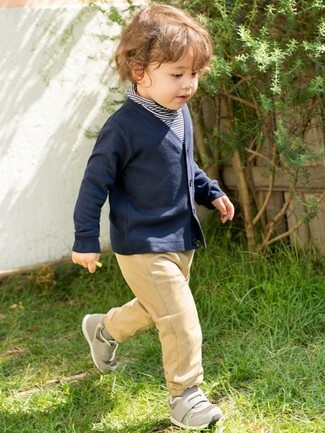 Suggest that your little one wear a J.Crew boys shawl collar varsity cardigan sweater with tan trousers and his cute factor will be off the roof. This look is complemented really well with grey sneakers. 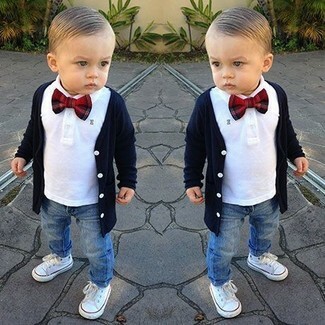 Suggest that your child dress in a J.Crew boys shawl collar varsity cardigan sweater and grey sweatpants for a fun day in the park. This look is complemented nicely with tan uggs. Dress your boy in a J.Crew boys shawl collar varsity cardigan sweater and charcoal sweatpants for a fun day out at the playground. Charcoal sneakers are a good choice to round off this look. Create an enviable style for your munchkin by suggesting that he wear a J.Crew boys shawl collar varsity cardigan sweater with tan trousers. This style is complemented really well with grey sneakers. 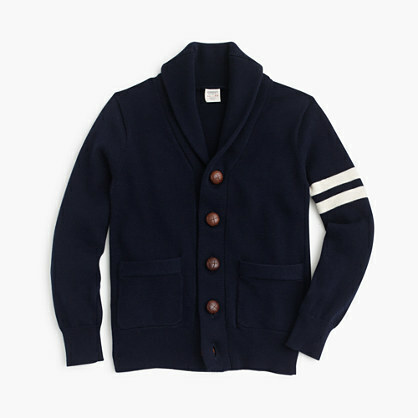 Suggest that your little man pair a J.Crew boys shawl collar varsity cardigan sweater with blue jeans for a comfortable outfit that's also put together nicely. 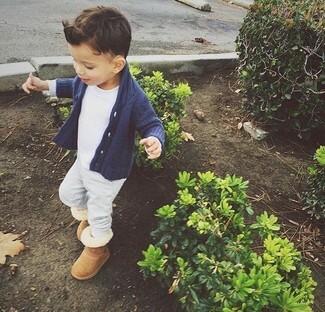 As far as footwear is concerned, suggest that your little man go for a pair of white sneakers. People will swoon over your child if he wears this combo of a J.Crew boys shawl collar varsity cardigan sweater and beige sweatpants.